This was indeed a leap of faith. My daughters had never done anything like this, walking with backpacks into totally unfamiliar country, and I was pretty arrogant, thinking we’d just be fine. We were fine – of course we would be fine – but thinking back on the way we planned each of our stages on this trip, I marvel at how completely reckless we were. 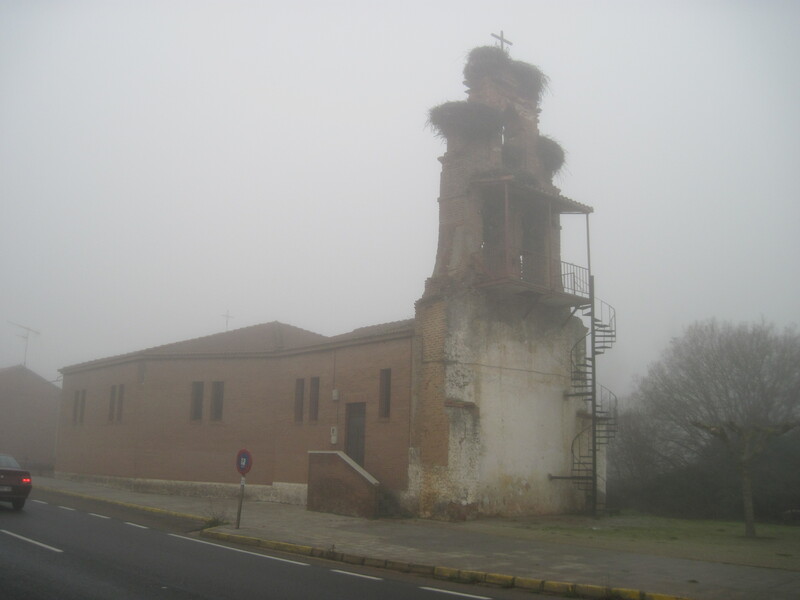 The weather for the most part in December in Northern Spain is 50s and rain, 50s and rainy. Not too cold, but damp pretty much every day or every other day. We had great solid black jackets that matched and when we stood together without the distraction of our non-matching backpacks, we looked like gangsters. We were really well-prepared and I felt we were ready. But we traveled on trust: trust that the Camino would provide us with the bare necessities. As we got closer to our first overnight stop, we found ourselves walking alongside a small highway. 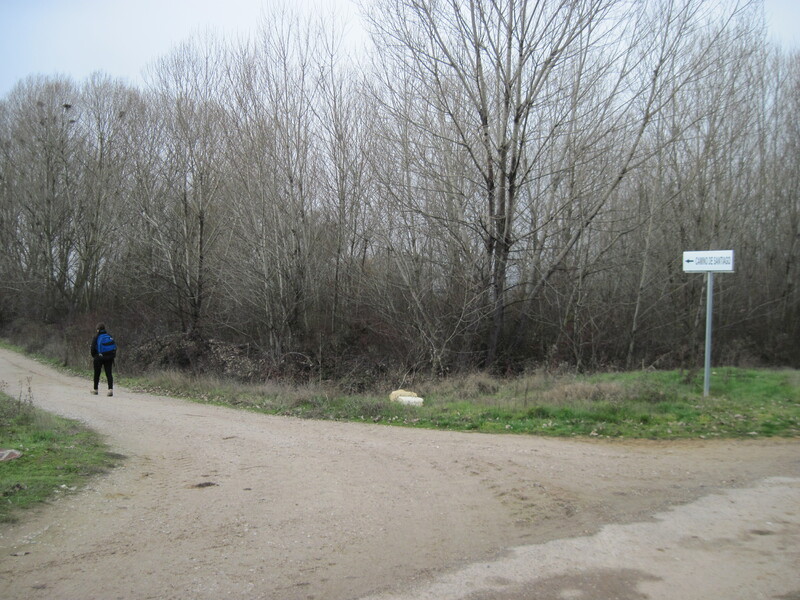 In many sections of the Camino, there is a main road that runs alongside and the suggestion is that the Camino was there first and because it proved to be the most expedient route from one place to the next, the road was built next to it. We stopped walking to have some of an apple we’d brought with us and we were just talking when I looked up to see a wild boar. It ran up to the highway to our left, across the roadbed, down the other side and directly crossed our path about 15 to 20 feet just ahead of us. Then it disappeared into the brush. I had only seen wild boar in Italy many years ago. And I passed up the only opportunity I ever had to try eating it. This was, let me see, how do I put this? Unsettling. That’s it. It was unsettling. We wondered what exactly we would have done if the thing had taken a sharp right turn and come right at us. On some crazy level though, I felt like we had some wonderful force field around us that would protect us from just that event. Then we met our first hospitalero – one of the wonderful people who run the albergues where we would spend the night. He was coming toward us on his bike, followed by a dog, and when he reached us, he just asked where we were planning to spend the night. Since we had no plans, he told us how to get to his place and that his wife was the best cook in Spain, that she would make us pasta, and that we would have a nice time. 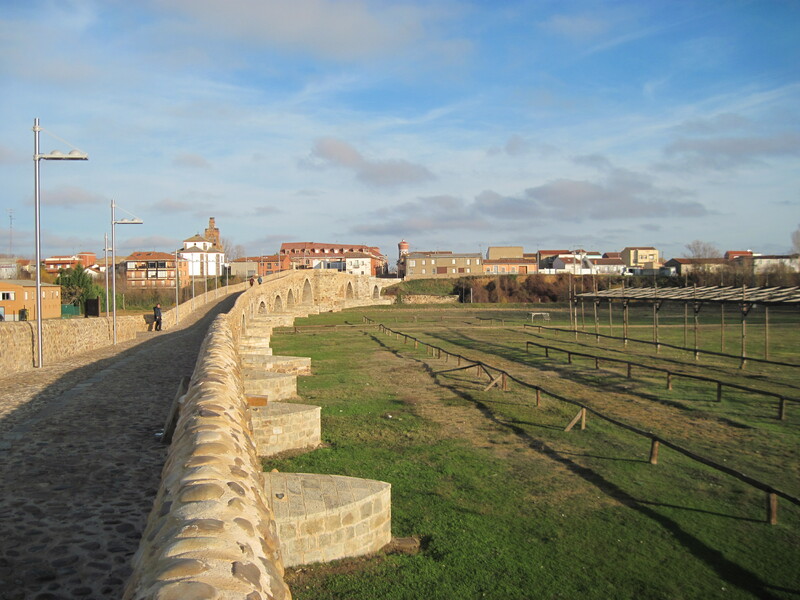 We walked across the bridge into Hospital de Órbigo and spent the night at the Albergue Verde. I remember lying down, covered with my sleeping bag, just glad to be NOT walking. They served us a wonderful meal and after dinner, they sang to us, accompanied by guitar, and it was so lovely I wanted to spend another night there. In fact, we overslept and did end up spending more time there than we’d planned but I’d forgotten to set my alarm. Sunrise is so late in December it’s easy to sleep in by accident. After breakfast and photos, we were directed out the back door, across a farmer’s field, toward the Camino. They told us we’d find a rest stop in 10km. where we met up with the Casa de Dioses – at that time, it was a lean-to with teas and peanut butter and a nice little couch to sit on for a few moments. The owner would walk to the next town to carry back supplies and water, but since that time, he has bought a shed and I understand he has made a more permanent place for himself and the pilgrims he nourishes.